Following the recent Fuego volcanic eruption in Guatemala, ACGC member organizations have been responding. 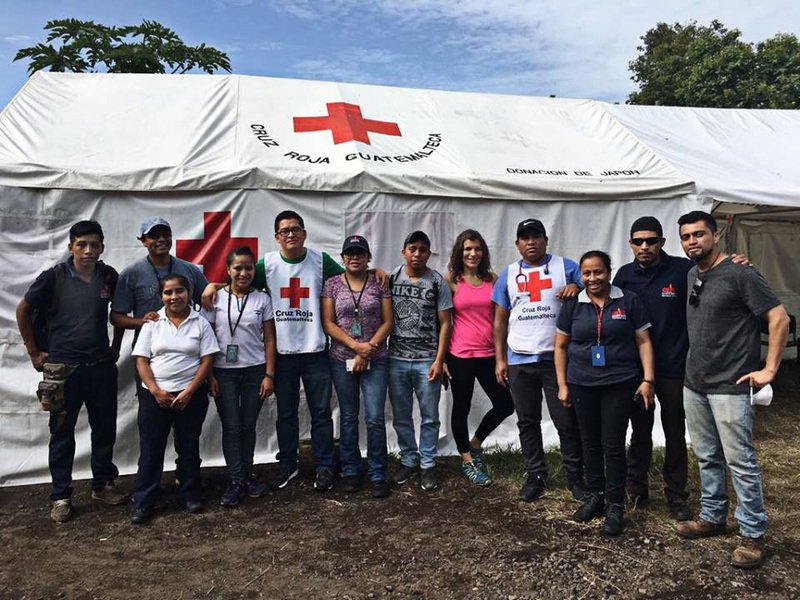 CAUSE Canada’s Guatemalan team of nurses (pictured left) provided rapid, critical aid to the injured. As there are still many injured, displaced, and/or missing, their team is still there. Make a one time donation to support CAUSE’s work. Mennonite Central Committee is supplying relief kits. Find out more and donate to MCC’s relief fund. Samaritan’s Purse is providing shelter and food to volcano victims. Read the story here and visit SamaritansPurse.ca and click on “Donate” to make a donation. In partnership with Plan International Canada and with Alberta youth ACGC attends the Y7 in Ottawa. Read more about the youth convention and the Because I am a Girl campaign. The Organisation for Economic Co-operation and Development (OECD) has come up with a list of success stories of communities contributing to the Sustainable Development Goals (SDGs) and ACGC’s annual Top 30 Under 30 Magazine and the Together 2017 Symposium made the list! Check out the article! ACGC is among the finalists of the United Nations SDG Action Awards in the category CONNECTOR. It was our Together 2017: Collaboration, Innovation and the Sustainable Development Goals symposium that placed us among the 38 finalists of 740 nominations! Together 2017—the first-ever multi-stakeholder symposium in Canada dedicated to the SDGs—bridged the gap across sectors by emphasizing the importance of collaboration and innovation in achieving the 2030 Agenda. We are looking forward to attending the Awards Ceremony at the Global Festival of Action for Sustainable Development in March. Read the Together 2017 profile. To mark International Development Week 2013, ACGC published a special section of the Calgary Herald and Edmonton Journal in collaboration with Postmedia Network Inc. Readers found 8 full-colour pages profiling the important work being done by Albertan organizations and individuals who are working locally and globally to achieve sustainable human development and reduced global poverty. Download the special feature here.